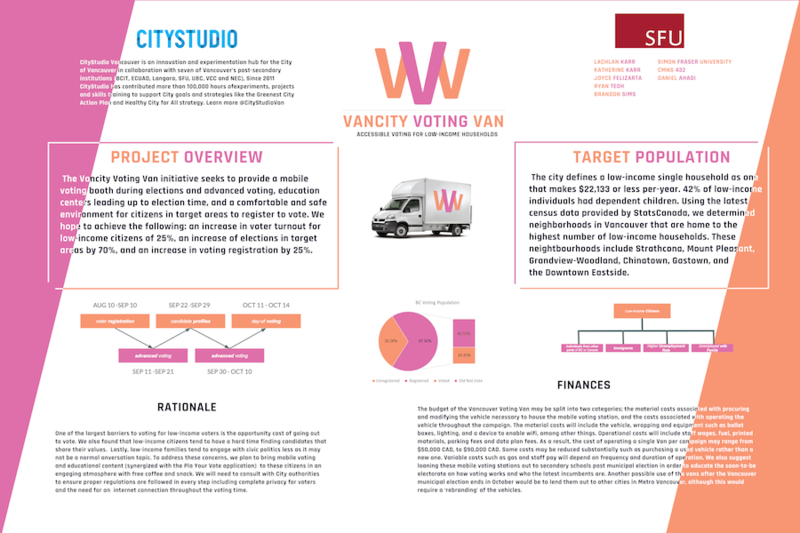 The Vancouver Voting Van is envisioned as a mobile voting center and information kiosk which will serve Vancouver’s low-income households. 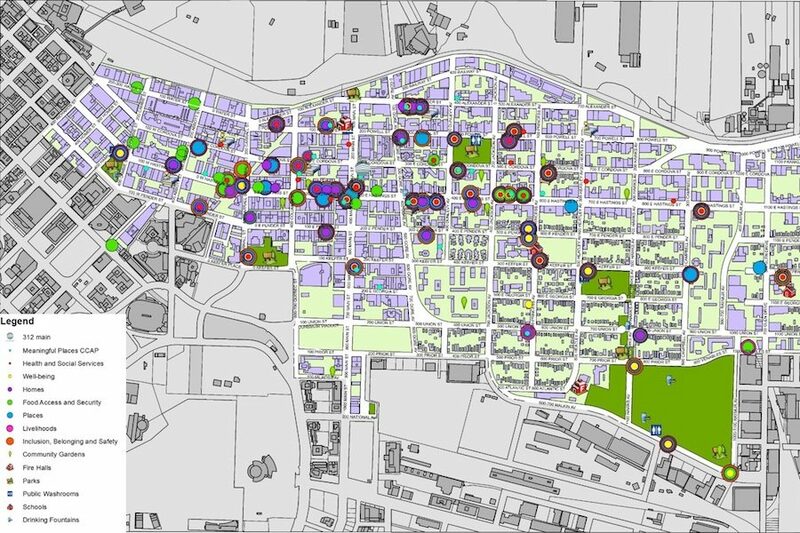 The goal of our project is to increase the political knowledge within this group, and ultimately increase the likelihood that they vote in the upcoming municipal election. The project was made in recognition that the main obstacle which prevented low-income households from participating in elections is the accessibility of information and voting opportunities. 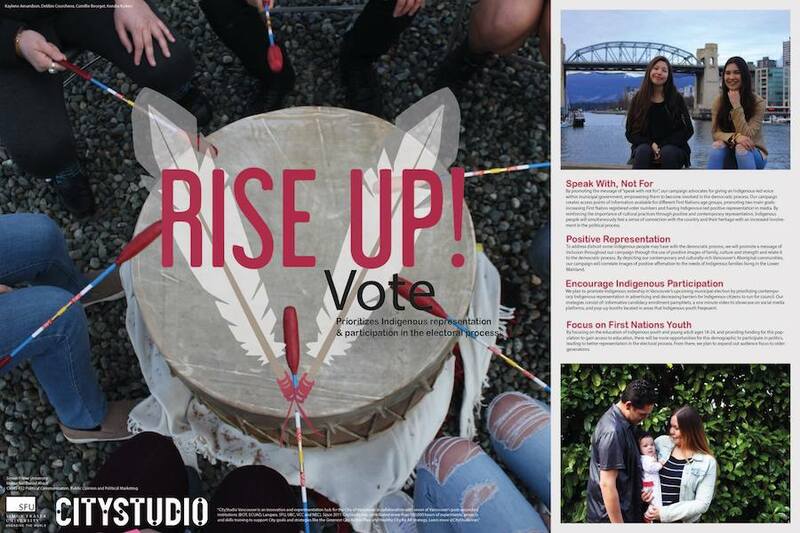 The Vancouver Voting Van addresses this issue by bringing all related resources to the previously under-served electorate. 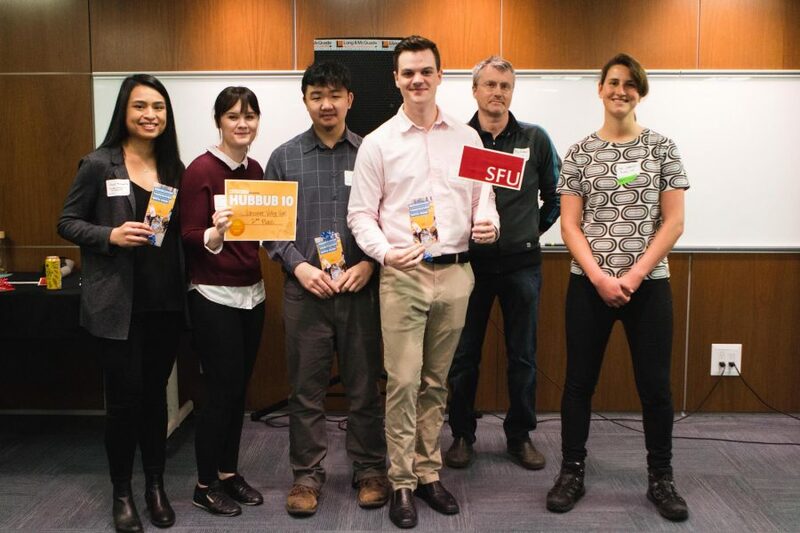 The Vancouver Voting Van was awarded second place at HUBBUB #10 in April 2018.